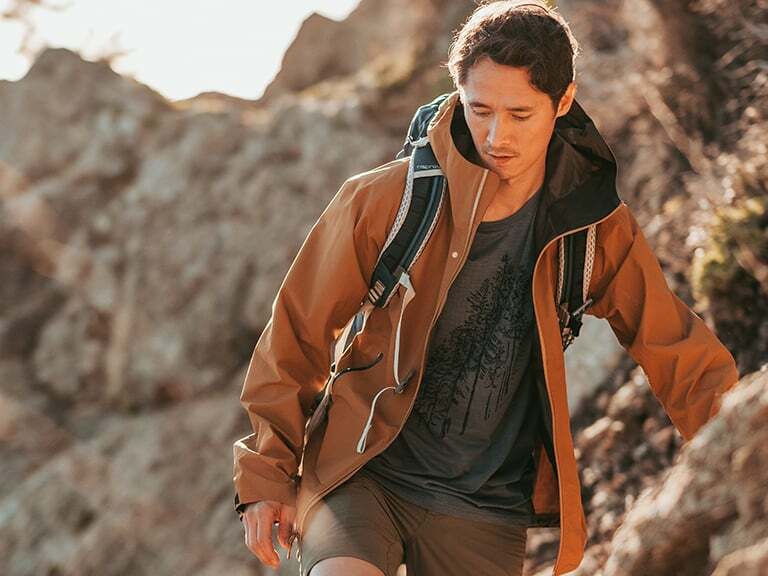 Whether you’re an outdoor enthusiast or simply looking to stay dry while you’re out and about, an effective raincoat will be your best friend on those sombre, wet days or during those spontaneous, mountain-top weather changes. With so many products to choose from it’s hard to know where to start and what to look for so start by familiarizing yourself with some of the basic terms you’ll read on product tags, but in case you have some specific questions you can skip to your wanted section. What type of rain jacket works best for different activities? What are the features you should be looking for in a raincoat? How can you know if your rain jacket fits right? Water-resistant fabrics are coated or sprayed with a durable water repellent finish that will withstand limited precipitation but may not perform very well in a constant, heavy rainfall. 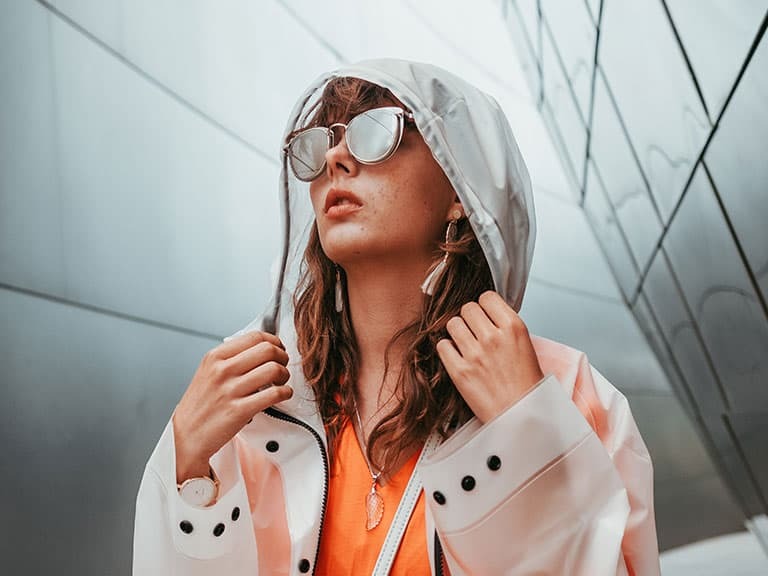 Fabrics that have become water-resistant using this method such as nylon and polyester aren’t necessarily 100% waterproof and will eventually be soaked through if you stay out in the elements long enough. Waterproof means no water inside, period. Waterproof fabrics can withstand constant, heavy precipitation and must be completely impervious to water. A few waterproof membranes you can find on product labels and in product descriptions include GORE-TEX, eVent, Hyvent and DryQ. Different brands use different technologies so you can find several different membranes that perform just as well as GORE-TEX but may fall more in your budget. Whether waterproof or water-resistant, DWRs are applied to all rainwear products. Generally applied as a spray, the DWR (similar to Teflon) is used to coat the outside fabric and does not allow water droplets to permeate. This results in water drop beading and rolling off the garment. GORE-TEX which was introduced in the 1970’s, is neither a coating nor an outer fabric, but a sandwich-like, 3-layer construction made up of a membrane, a lining and outer textiles. The GORE-TEX membrane itself which is the filling in the three-layered sandwich is a thin layer of expanded polytetrafluoroethylene (ePTFE) with over 9 billion pores per square inch. Altogether these three layers create a tough, breathable material that is most often used for outdoor gear made to withstand the elements. When you’re looking for a raincoat, the best place to start is simply figuring out what you plan to use the raincoat for. Are you looking for a basic raincoat to wear when you’re dropping off the kids at school and out running some errands or are you looking for something more technical? Are you on the hunt for a packable raincoat that you can wear at the start of your hike in the valley then stow away in your pack once you’ve reached the summit above the clouds? There are three different types of construction in rainwear; 2-layer, 2.5-layer and 3-layer. In general, all three layers include a laminate and a coating or membrane which makes up the other two layers. For the 3-layer construction, there is an additional fabric or textile which creates a sandwich, thus the three layers. Depending on what type of activities you plan to do or not to do in your raincoat, these layers will play a role in your decision making. 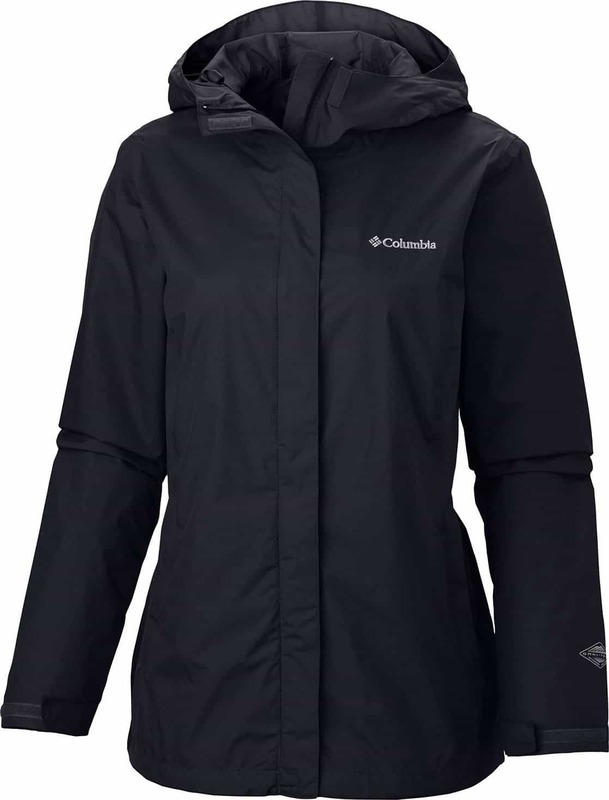 2-layer rainwear is generally the most moderately priced and can be found commonly used in urban and travel rainwear. These jackets don’t generally have armpit ventilation like arm-pit zips so are not ideal for high-intensity activities. If you’re looking for a more reasonably priced raincoat for getting around town, a 2-layer raincoat is a great choice for you! 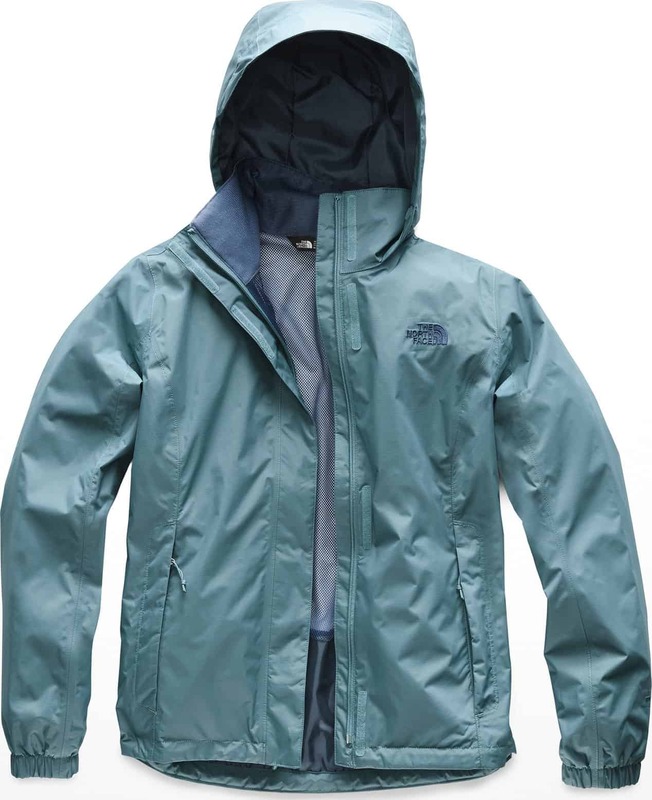 For 2-layer raincoats check out The North Face Resolve 2 Jacket or the Columbia Arcadia II Jacket. 2.5-layer rainwear is equipped with arm-pit zips for ventilation and is appropriate for high-intensity activities where the wearer will be sweating. 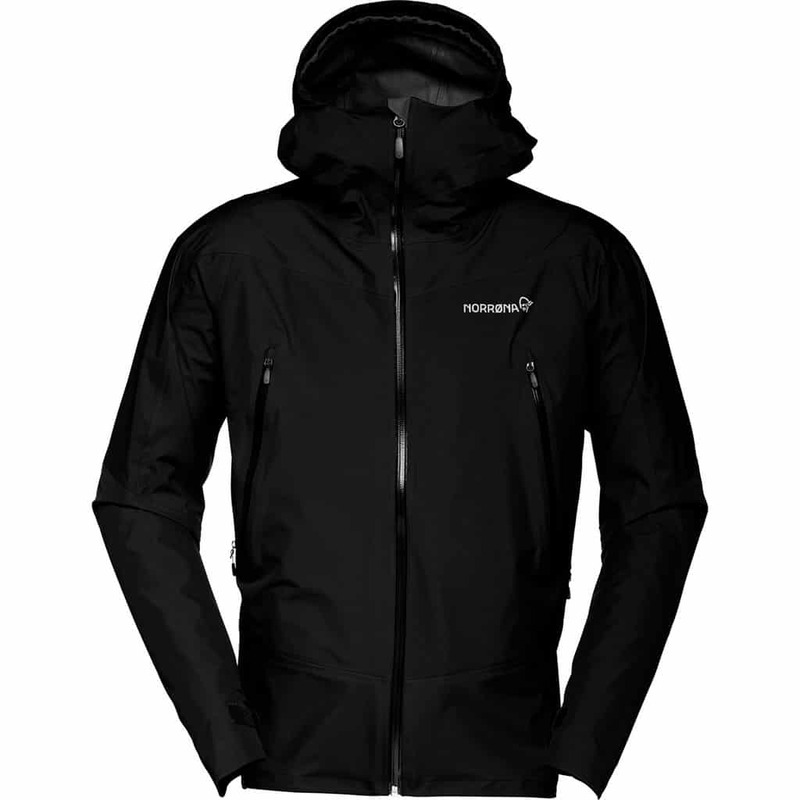 These jackets are generally more lightweight and packable than the 3-layer jackets. If you are an outdoor enthusiast looking for great gear on a bit of a budget, the 2.5-layer raincoats are a great place to start. For 2.5-layer raincoats check out the Mountain Hardwear Exposure/2™ Gore-Tex® Active Jacket or the Patagonia Torrentshell. 3-layer raincoats are the burliest and quite often the more expensive option of the three. These jackets are generally heavier and more durable as they are made to withstand the worst conditions. 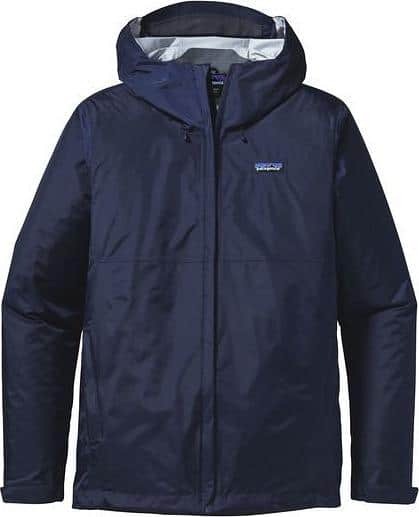 Although generally made with GORE-TEX, 3-layer jackets are also made with equally reputable membranes such as eVent, Hyvent and Dry.Q among a few others. If you are an active individual who spends countless, radical hours outdoors chasing adrenaline in the harshest of elements do yourself a favor and opt for a 3-layer raincoat as burly as your adventures. 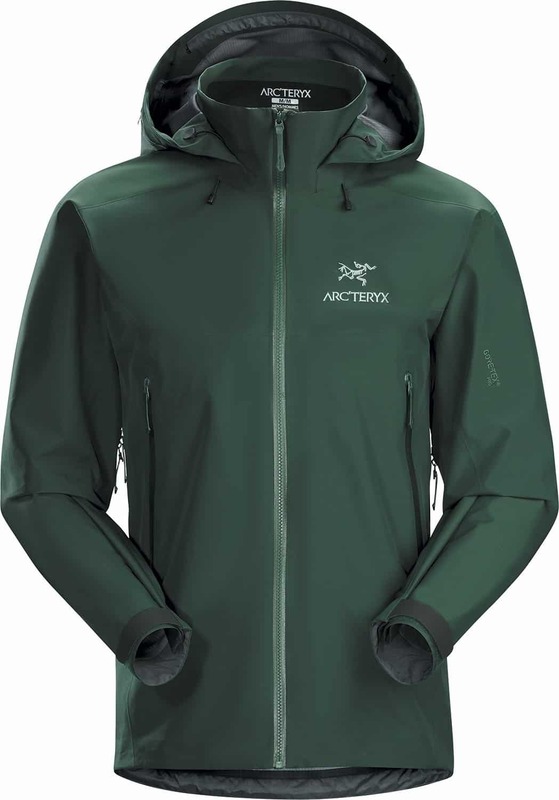 For 3-layer raincoats check out the Norrøna Women’s Falketind Gore-Tex Jacket or the Arc’Teryx Men’s Beta AR Jacket. Model is wearing the Hunter Original Oversized Waterproof Raincoat & the Moncler ML0017 Sunglasses . Our favourite jackets are most often our favourite either because of their colour, durability or simply their number of pockets or other technical features. For me, I look for a decent sized hood on a raincoat. I want a hood that is big enough to accommodate a helmet for biking or extra space for a toque and a hoodie on those extra chilly days when the rain is falling. An easy-to-wear raincoat that enables a more enjoyable adventure always gets a thumbs-up! There’s nothing worse than constantly having to readjust your raincoat in some way while trying to focus on your activity. 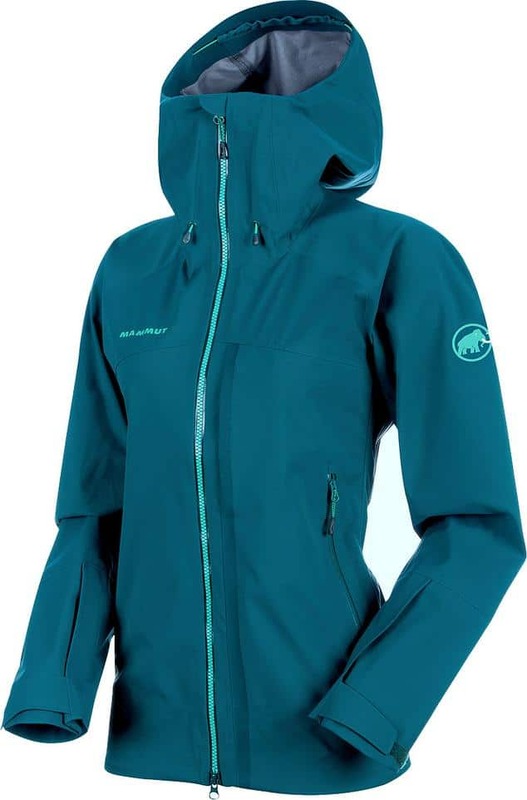 Whether you’re shopping for a raincoat specifically for climbing, cycling or even skiing, you may want to find a model that features a hood that is helmet compatible and has toggles to hold the hood in place. This way you can spend more time focusing on the trail or pitch ahead of you, and less time playing with your hood. A key feature to look out for when shopping for a new raincoat is the number and placement of pockets (if there are any). 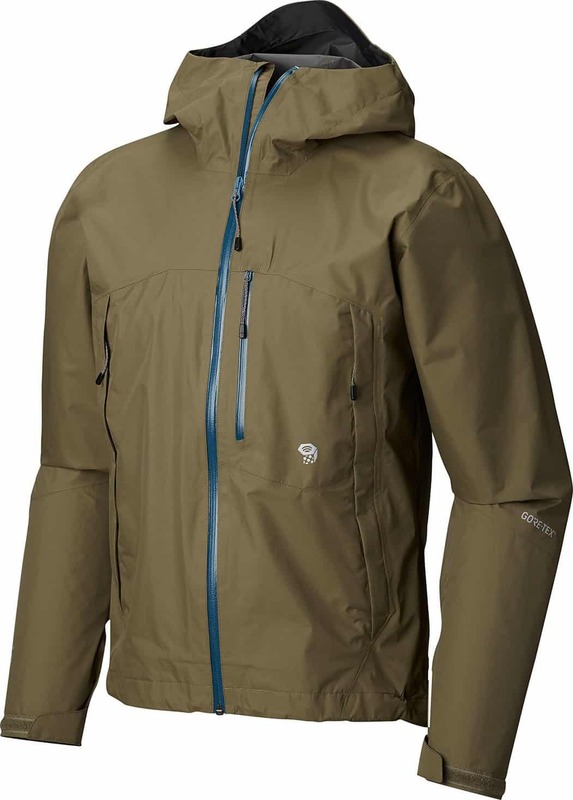 If you’re looking for a jacket to wear while backpacking you may want to check out the Norrøna Bitihorn dri1 Jacket. This jacket is equipped with chest pockets that are accessible even while carrying a pack so you can easily reach and stow away your map or GPS while on the go. The more zippered pockets on a jacket can sometimes equate to a higher price. All the added features may add up to additional material costs so shop wisely. If you’re just looking for a get-around-town raincoat you may not need 4 pockets on the front and one on each forearm. Most technical raincoats will have taped seams and laminated zippers to help keep the rain out and the wearer dry. 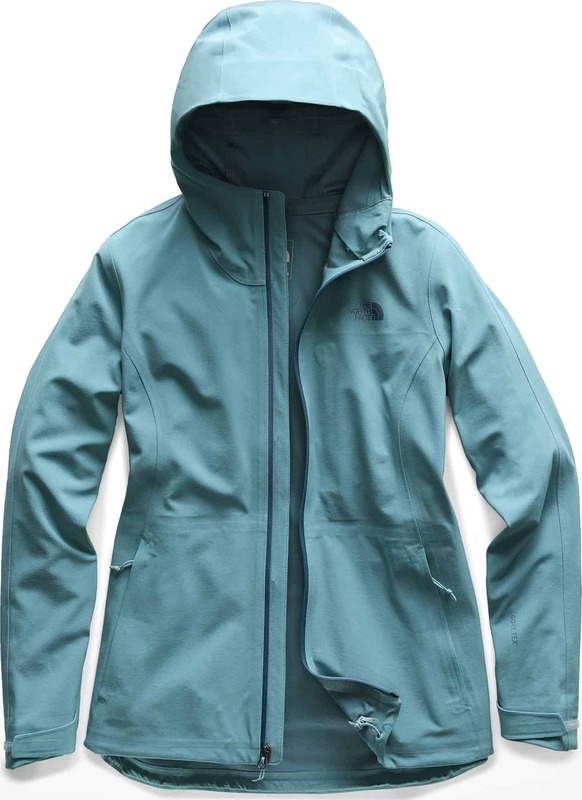 Although nearly all raincoats are made with taped seams, not all of them are equipped with laminated zippers. Often times in some less technical products, a storm flap will be used instead of a laminated zipper which simply protects the zipper from direct exposure to the wet. Jackets that are equipped with laminated zippers may be slightly more difficult to zip up and down so be patient because thrashing only makes things worse. With laminated zippers there will always be a cover at the top when the zipper is fully done up. This little cover is called a zipper garage or a zipper hut and works to keep the tiny opening at the end of the zipper protected from exposure. Raincoats are often made for specific activities so the technical features included will reflect its recommended usage. Wrist closures and drawcords at the waist enable the wearer to block out the elements or increase ventilation. Depending on what activity you hope to use your raincoat for, these are some features you may want to look for. Jackets that are equipped with zippered armpit vents provide excellent ventilation and are ideal if you plan to participate in moderate to high-intensity activities. These vents allow for better air circulation during strenuous activities where the body temperature will be rising. Feeling warm while exercising is good but feeling too warm can be dangerous so make sure you have adequate ventilation for your specific needs. For such activities, there are also ultralight models which provide a light and packable layer to protect you from cool to cold, unpleasant weather. Ultralight raincoats are a feature all on their own providing lightweight protection that doesn’t hinder performance and the convenience of pack-ability makes them attractive to minimalists! Model is wearing the Arc’teryx Zeta SL Jacket & the Norrøna svalbard wool T-Shirt. Having the right fitting gear can make a world of difference when it comes to performance. If you’re up in the mountains and plan to layer up for your multi-day adventures, you want to ensure you pick a raincoat that can accommodate layers. When trying on your potential new raincoat zip up the zipper and put on the hood. How does the raincoat feel? Did the zipper go up easily or was it a tight pull? If you were to drop your head forward, does the collar feel tight and restricting? Crazy enough, the best way to test the sizing of a jacket is to actually try it on. Move around in it, give yourself a big hug and really reach for your shoulder blades. Stretch your arms high above your head like you’re about to do a sun salutation and take note of how high up the jacket rises on your abdomen. The less a jacket rides up when your arms are above your head the better the cut of the jacket; a technical jacket with a good athletic fit will not ride up so much. When it comes to sleeves, you don’t want them to be too long or too short. Sleeves that are too long may get in your way and have the potential to create a safety hazard. Sleeves that are too short can let in cold weather and create a heat-escaping problem. Test the sleeve length of the raincoat. Zip-up the zipper fully then stick your arms straight out in from of you. Will the sleeves be comfortable and an adequate length for your activities? While mountain biking in wetter conditions, I prefer a raincoat with sleeves that overlap the top of my glove slightly. This is a good length that isn’t too long causing the sleeves to bunch on my arms and not too short that my wrists are exposed. Having proper fitting sleeves will eliminate chafing, avoid restrictions and keep your body heat from escaping making you feel more comfortable for the duration of your activity. If the sleeves feel tight with only a t-shirt underneath there’s no way you’ll comfortably fit one or two layers under that raincoat. Try the next size up and if the fit is still uncomfortable you may have to try a different model. Keep in mind when trying on your new raincoat that not all models are ideal for all activities. If you are looking for a raincoat to wear while cycling, get into your cycling position and see how the raincoat feels. If the raincoat feels tight in the triceps region when you are reaching forward this style or size may not be ideal for your needs like beating last week’s KOM on Strava. Because shopping is rarely an easy in-and-out process, remembering these few tips should help with your tough decision making. There’s more to a raincoat then its colour and look so be wise. Purchasing a new raincoat can be a little shocking on the wallet but it is an investment that you can rely on. There’s nothing worse than being stuck out in the elements with inadequate gear so don’t just think cost savvy, think safety and durability as well! There is 11 thoughts on this article titled “How to Find the Perfect Raincoat”. Hi, what model is the yellow rain jacket that is shown at the top/beginning of the article? 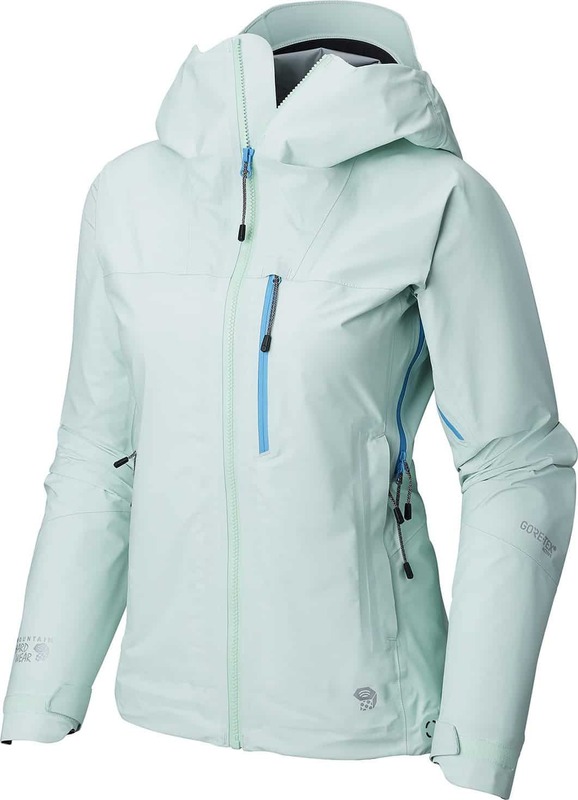 Hello Nancy, it is a past season model of the Beta jacket from Arc’teryx. You can still find the jacket although the colour is may be limited. It is available in the Beta SL Hybrid.